All self catering cottages have kitchens with cooker, fridge, microwave, toaster, kettle, washing machine, iron & ironing board and full smoke detection and fire safety equipment. All are independently heated and have either combi boiler or electric showers ensuring plentiful supply of hot water. Guests are welcome to have breakfast in the Hotel by prior arrangement. 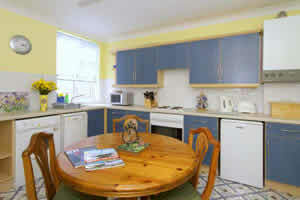 Changeover are days flexible with respect to prior bookings ~ First come first choice. Cottages are normally let weekly, but if a property is available, last minute short breaks will be offered within two weeks of a required stay. Our cottages are pet friendly. Please contact the hotel for best available prices. 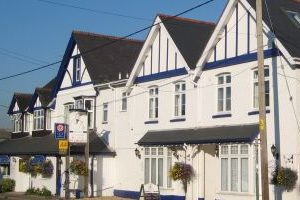 Three bedroom ground floor apartment within the hotel building accessed from the car park, two double bedrooms, one twin bedroom, bathroom, kitchen, lounge. Free Wi-Fi. 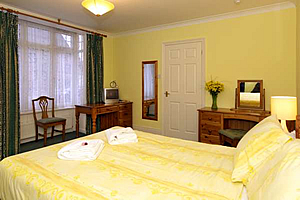 Three bedroom ground floor apartment within the hotel building accessed from the car park, one double bedroom, one twin bedroom, one single bedroom, bathroom, kitchen, lounge. Free Wifi.